John celebrated his 70th birthday last week with the help of a cake modelled in the shape of his favourite Toyota Corolla rally car, kindly baked by our kind customer; Jessica Berry. Thanks Jess it was gorgeous! The new 2019 Isuzu D-Max MTec is starting to take shape. The spec will include the new 200Bhp/400NM torque power upgared releases this year. 32" wheel and tyre upgrade and Utilty wheel arch extensions with lift kit. We will keep you updated with more details soon. We have now taken delivery of our last order of BF Goodrich tyres for what could be the next 2 months. 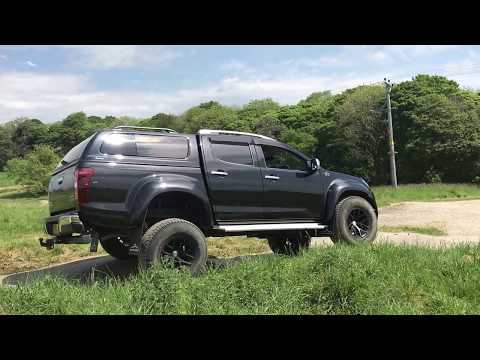 If you need or are thinking about All terrain tyres please give us a call as there seems to be a national shortage. We are incredibly proud to annouce we are finialists for the Skipton Business Awards 2017 in the Retailer of the year category! The award ceremony will take place at the Rendezvous Hotel on Thursday 23rd March so we're keeping all our fingers and toes crossed!